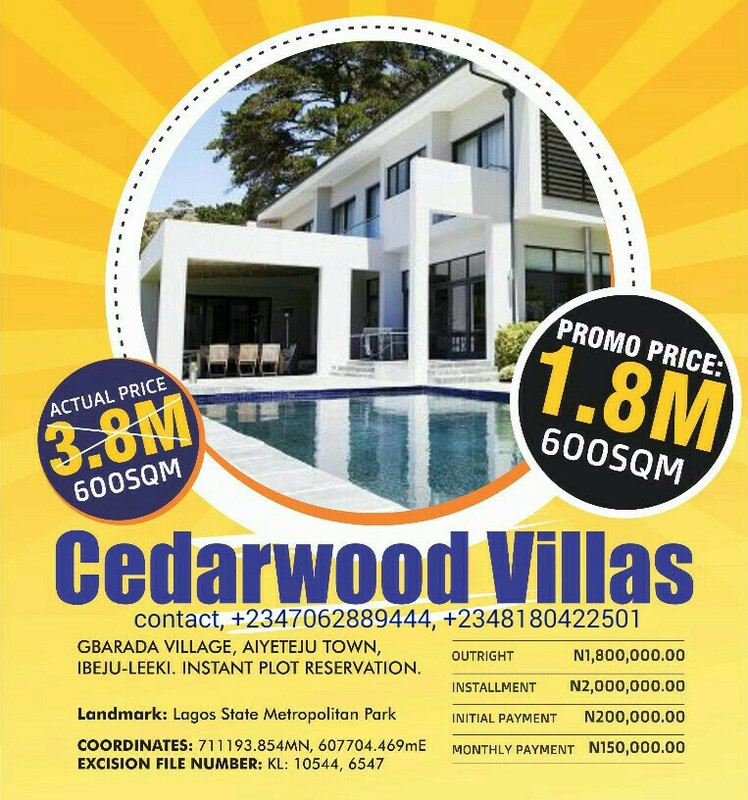 CedarWoood Villas was conceived out of the urgent need to provide a suitable, conducive and affordable site for home seekers and investors alike. *Lagos state metropolitan park . * The estate is a fast developing axis, close to LEKKI FREE TRADE ZONE, AMEN ESTATE, ELEKO BEACH, GENERAL HOSPITAL amongst others. *What is the Size of the Plot? *Is there any encumbrance on the land? *Please let me know if you have more questions and for our free inspection. For Enquiries on how to purchase /call..+2347062889444, +2348180422501.